In April 2014, the Drawing Department at the National Art School brought five enterprising students to Hill End as part of their Honours degree program. It was initially meant as a time for them to get to know each other but over the subsequent year, the true and surprising impact of this extraordinary place has become evident in their work. Working in diverse media and with interests that range from landscape as a sustainable environment or a source of narrative unease to formal considerations of space or driving through real space, these artists have gone down many challenging roads and come out, a year later, with the work you see here. I'll be doing a smaller installation of Symptoms for this paper orientated group show at Brenda May Gallery. 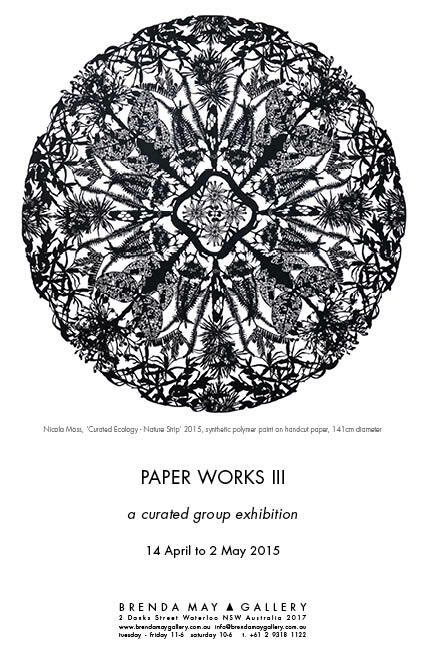 This third installment of our Paper Works series endeavours to illustrate the diversity and versatility of paper, providing a glimpse into the range of creative potential for this medium. 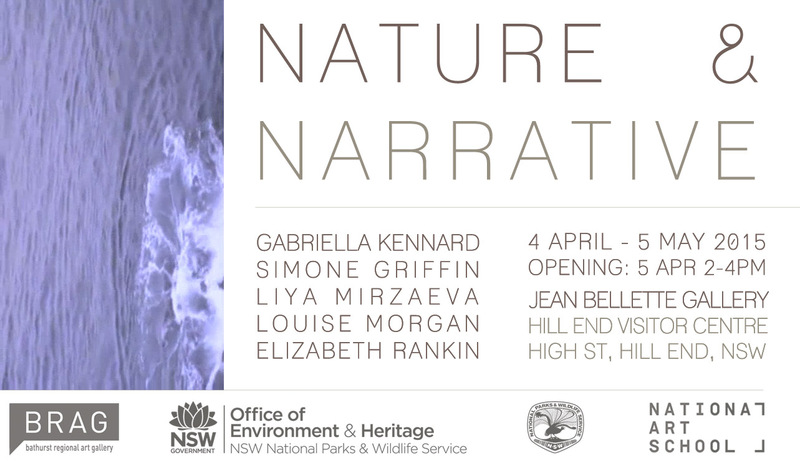 Artists include Lee Bethal, Daniel Chant, Todd Fuller, Lisa Giles, Nicci Haynes, Bettina Hill, Therese Kenyon, Melinda Le Guay, Jo Meisner, Louise Morgan, Nicola Moss, Helen Mueller, Al Munro, Mylyn Nguyen, Janet Parker-Smith, Pamela See, Lezlie Tilley, Elizabeth Willing.